We've got new templates in the shop, pages and pages of inspiration and of course, some links to some freebies. 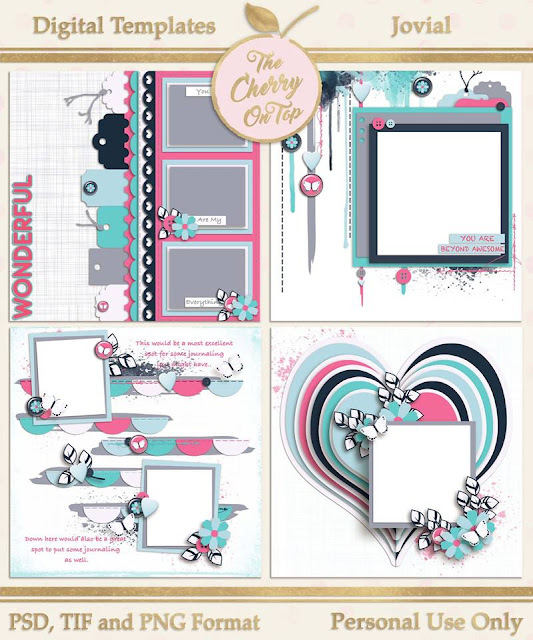 There are all kinds of new collections in and around DigiLand as well as contests at the Digital Scrapbooking Studio that might interest you. I've also got a new video uploaded. Keep reading to find out more. Get your mojo in high gear after checking out the blog and get scrapping! 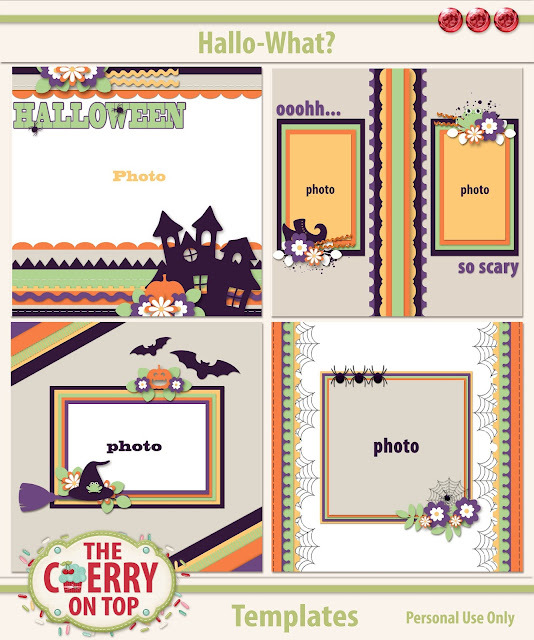 Our newest set of 4 templates are pretty awesome when it comes to versatility. 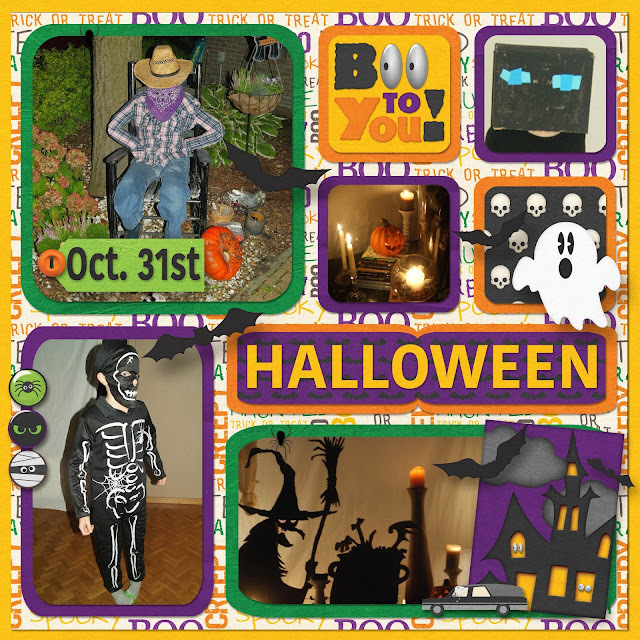 If you're really not into the ghoulish festivities, ditch the themed ellies and put in your very own. 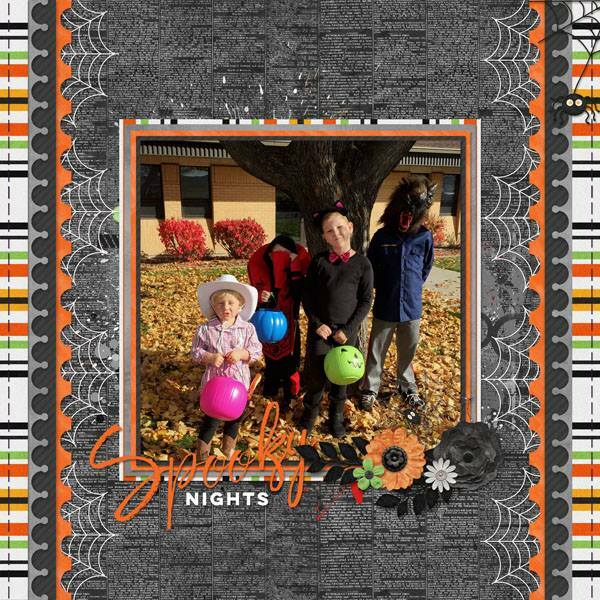 We've got several pages here without the Halloween theme and they look smashing. Isn't that page so much fun?! Paty is just great at whimsical design. The borders along the side are bringing those layers to your attention, adding volume and depth to the page. Anita's page is fabulous as usual. What darling little ones in such an out of the box pose. Great thinking, Girl! We've got some new ladies on the Creative Team! Above, are Rachelle's pages. She's done such a super job what fantastic photos of the fam. Ya gotta love double pagers! Lisa was casting spells on her pages, too. 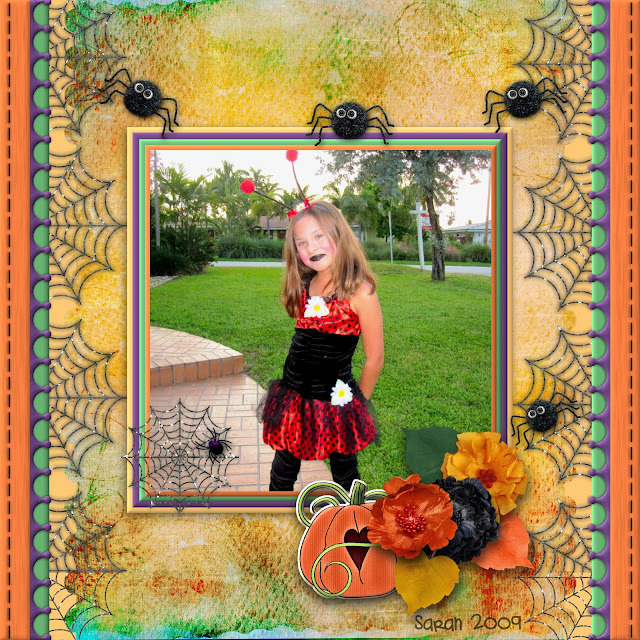 Above and below are her designs with the new templates. Marina's page is so much fun. Check out the grizzly look on the boy's face! Ha! Then the hammy, cheeky little girl. Hehehe...Just love fun photos like these. What better reason to scrap? What a splendid fall background in this page. Shelly really kept to the template. Keeping it nice and simple and using everything as is. That kind of scrapping makes your pages go along much faster and you still get great results. On to other new goods around DigiLand. 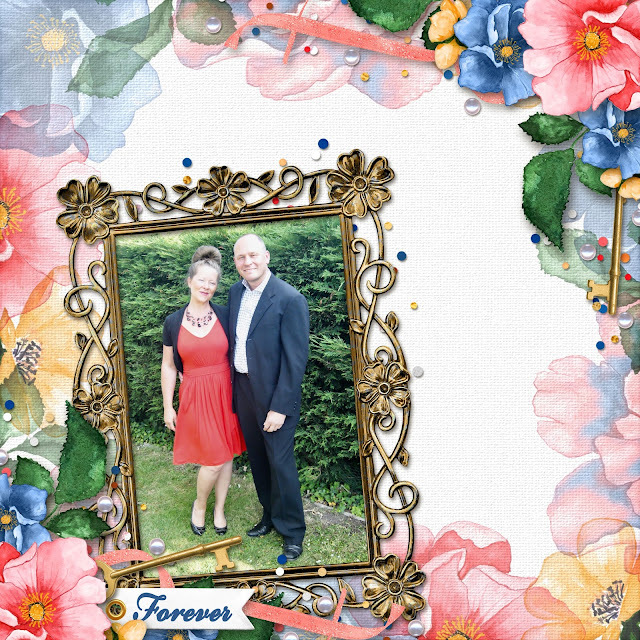 Like this amazing collection from the Digital Scrapbooking Studio. I got to work with several different designers kits. The first one is from my gal Aimee Harrison. 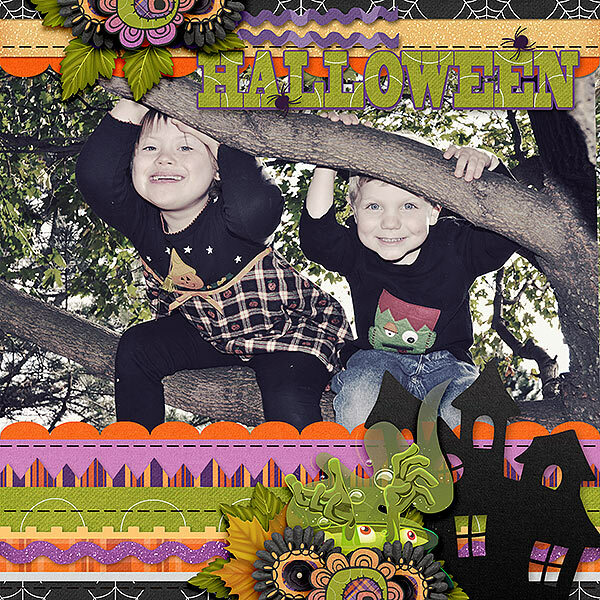 I paired it up with Lissy Kay Designs new templates, The One. Loving all of these luscious layers. 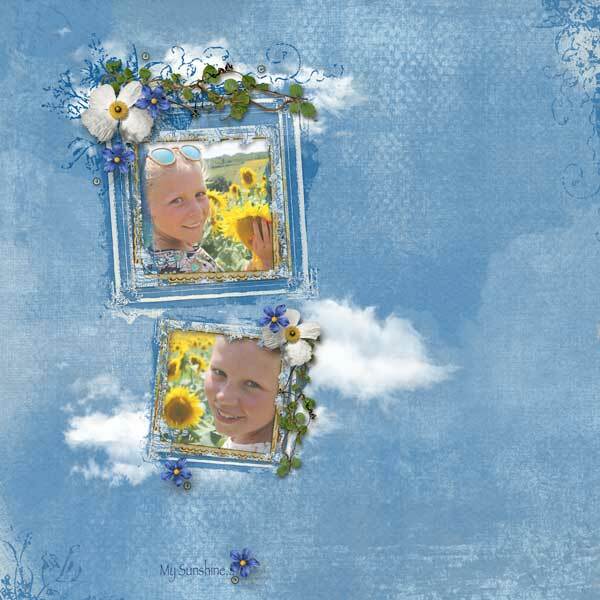 Highlands from ButterFly Design and a free template from Kmess. This page is SO special to me. 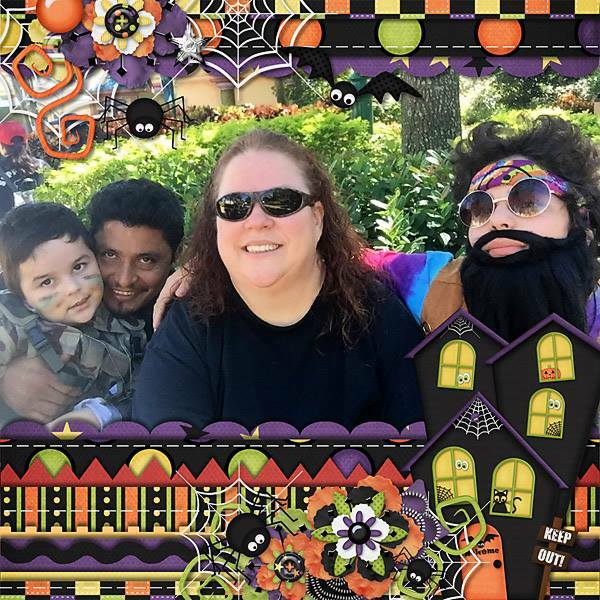 That's me with my sister-in-law and my bro with my hubs. I haven't seem them in 15 years! They finally took a visit to Europe from Florida. Good thing it was nice and hot when they got here, though not Florida hot. 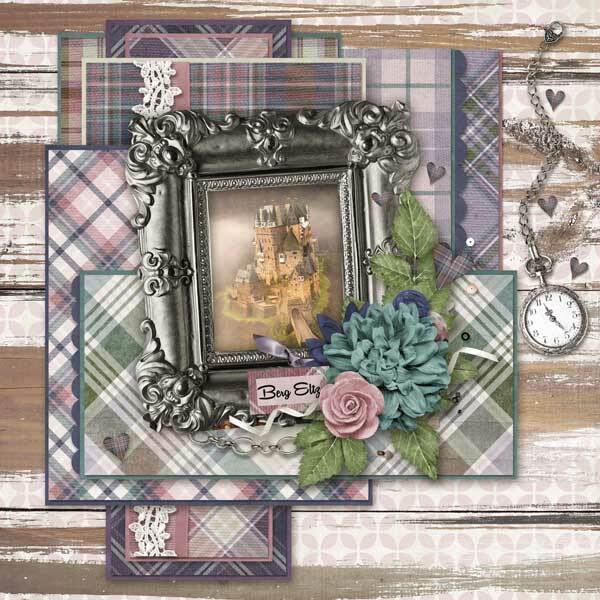 Kim Cameron's Highland Romance is this fab kit I used along with my Circlicious Templates. Even more new goodies are waiting for you! Just look at all of this water colour gorgeousness! That's me and the hubs all dolled up with babysitter waiting for us to leave. First time in 12 years, folks. We had a great time at a friend's wedding. Jodi from Throwing Some Scraps Around has out done herself, yet again. How about some more newer and new designs from your favourite digi shops? How is that for something completely different? Art journal style definitely isn't a regular part of my repertoire, but ya have to give it a go now and then, right? The Urban Fairy certainly is an awesome designer for this style, too. MagsGraphics also has a new collection out, Wicked Adventures. Can you guess the theme by the name and my page? Hmmm...It actually is a Somewhere Over the Rainbow theme, but I really wanted to scrap this beautiful pic and needed a kit with a lot of green and yellow. Perfect! 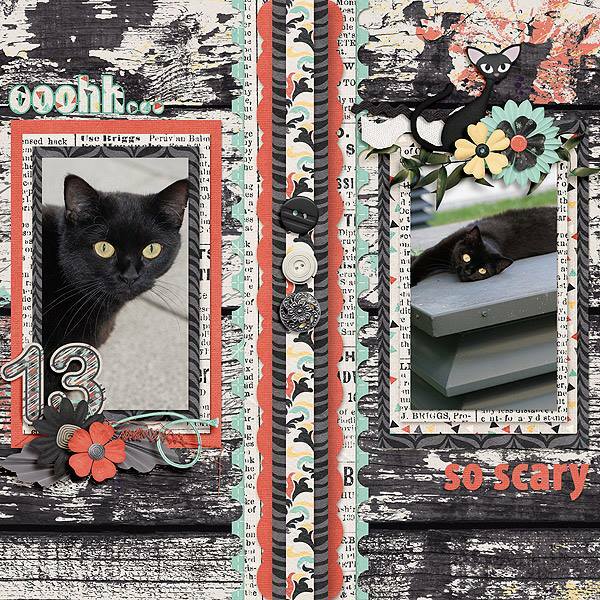 I paired it up with Dagi's Temptation's, Scrap-Tastic templates. Let's stick with different for the next two pages. 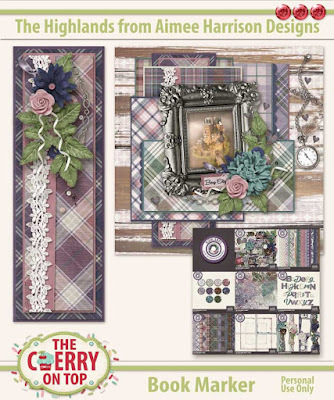 The Digital Scrapbooking Studio is having all kinds of contests this month as well as their challenges where you can find great freebies and play along. The Next Designer and Layout Artist contest are live in the forum and I'm playing along. Speaking of playing along, there is a place to do just that. You'll get the same challenges we do only you're not a part of the competition. How fun is that? Of course there is a perk to doing the contest, like free kits and prizes. This is my first challenge in the traditional competition. I've also decided to do the Artistic Style category. I need a push to do this style and this is a great way to do just that. 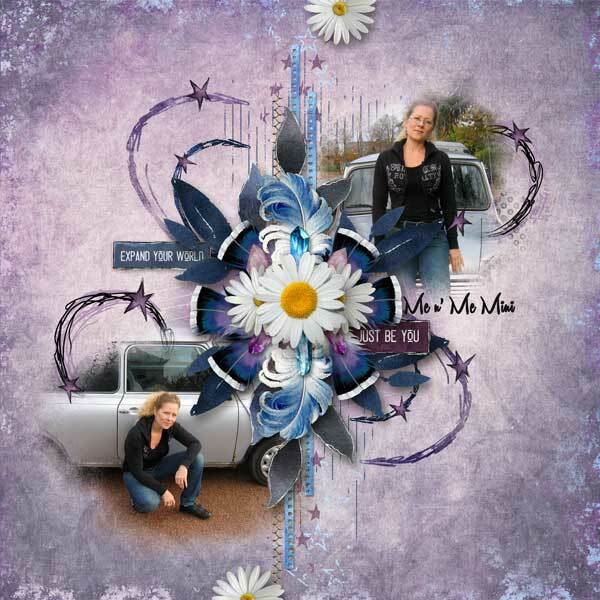 How about a fabulous mini from The Urban Fairy, Blue Skies? Isn't it a great back drop for these lovely photos of my friend's beautiful girls? 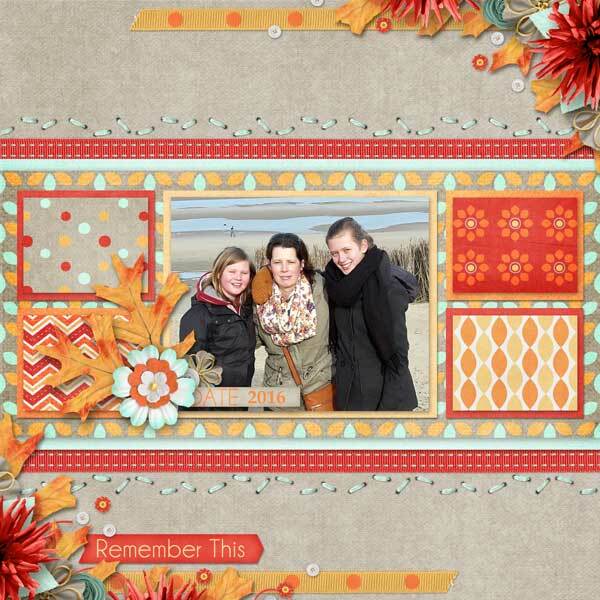 Have you played with our free template from Friday yet? 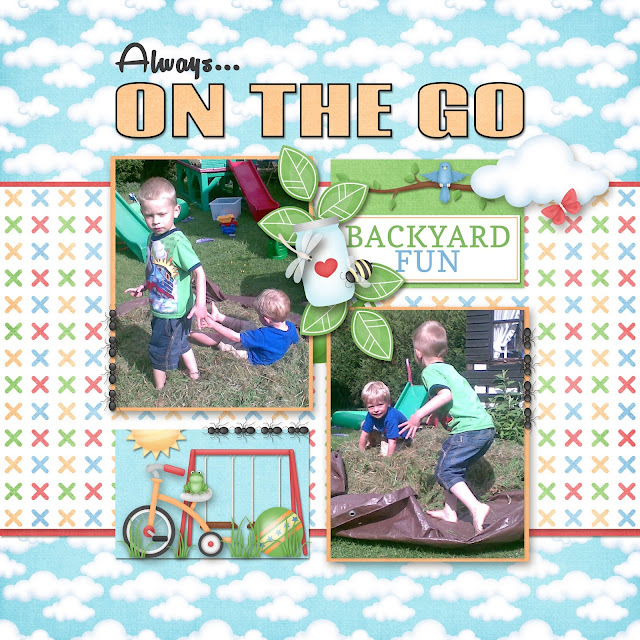 If so, pop over to the group and find the status with the preview of the free template from the Love For Layout train and add your page in the comment. The page with the most likes will receive an item of their choice from my shop at Kreative Design Studio. We'll see how many entires there are by Monday. 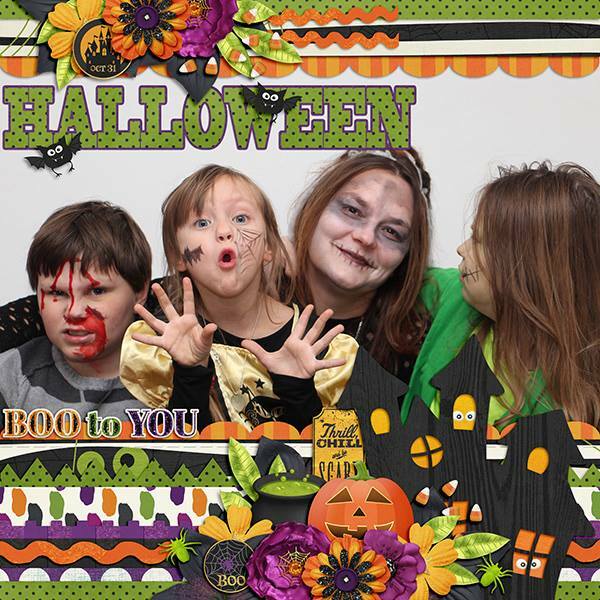 I got this free template playing along with Kim Cameron's annual Zombie Run. 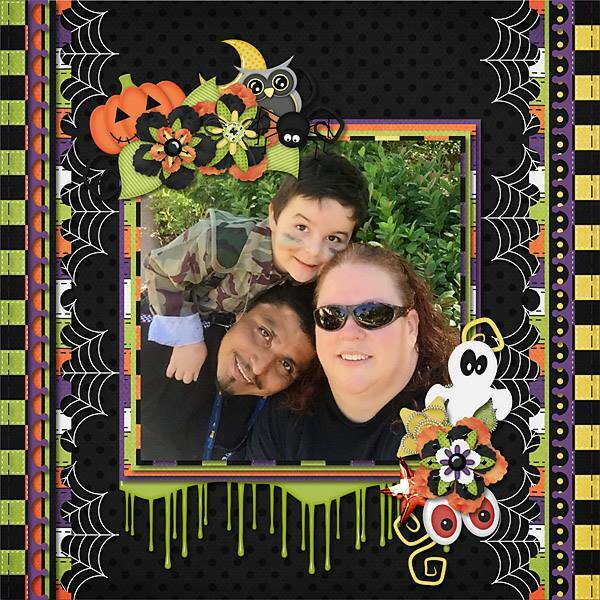 Join us over in her group if you haven't yet. I've still got a free template there and you can get the next challenge pack. This will be the freebie on tomorrow's, Hybrid Saturday blog. Download, print, cut, consider laminating and mark your favourite book. I'm actually in the middle of the second book of Highlander. This marker will be perfect! Gift idea? Tag? 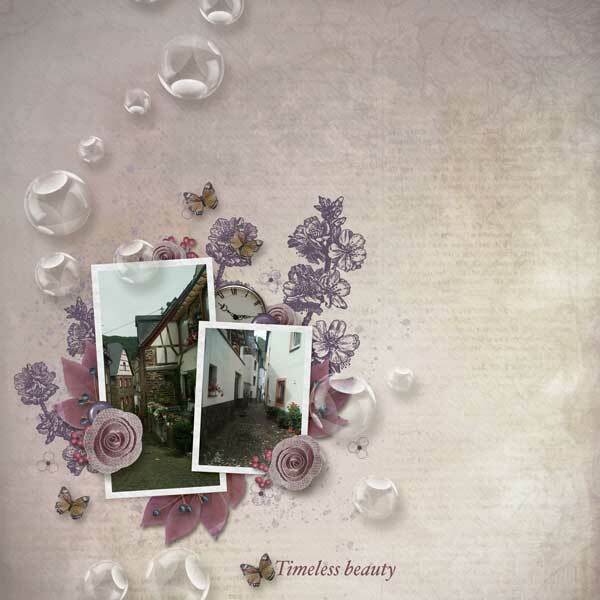 Border for a pretty page? So many things you can do with it, right?! FREE book marker printable on TOMORROW's blog. I've been uploading videos to my You Tube channel. 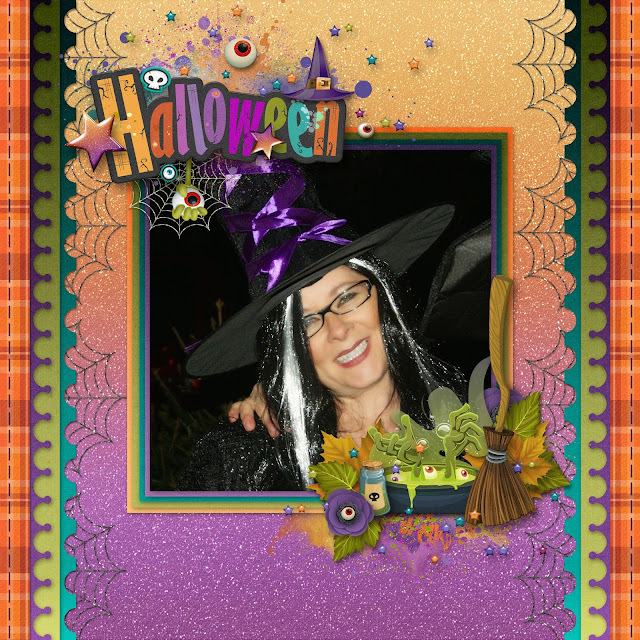 I just put one up Wednesday where I scrap the free template I designed for Kim's group. Check it out along with a few others. 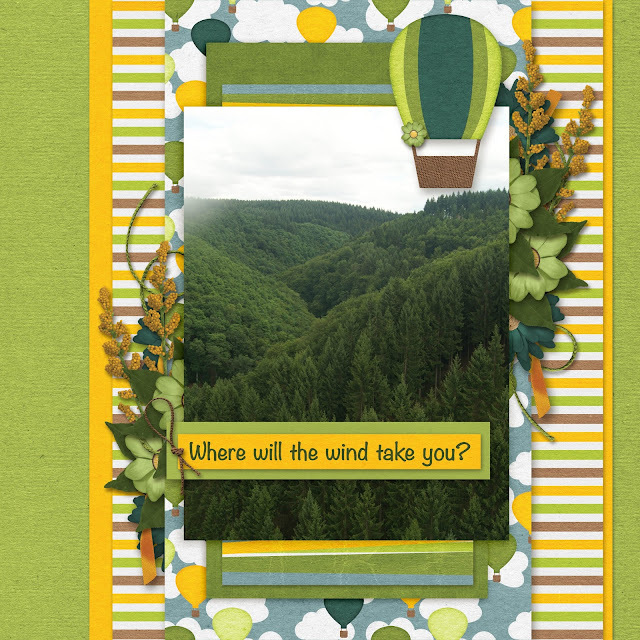 Process videos and quick tips in PSE along witha few older videos for paper craft. I'll be adding traditional scrap videos eventually, too. Thanks so much for checking out The Cherry, today! We'll see ya tomorrow.